Nixon's The Widgi digital wristwatch feature a timer and alarm functions. 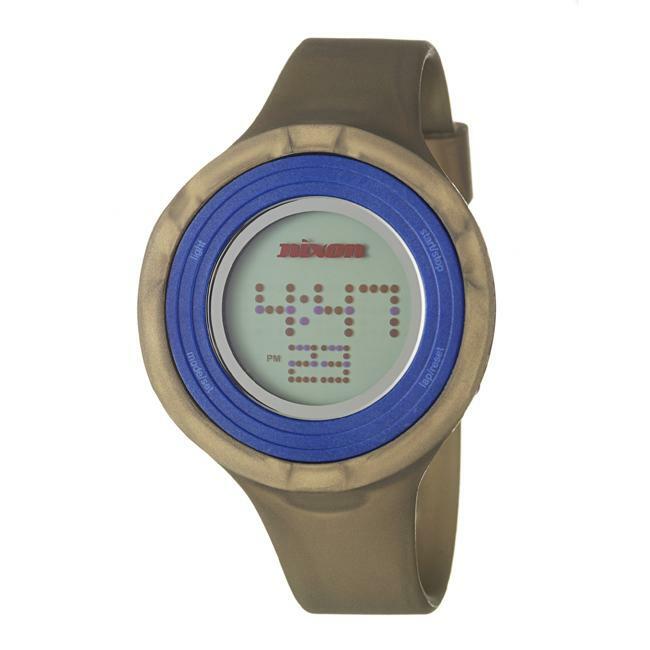 This fashion watch is constructed of silicone and polycarbonate. Got this watch for a disabled adult. The digital dial and size were appealing. The watch as a product was a failure. Lasted about three weeks. Carried it in the pocket when the band broke. I guess it is a "you get what you pay for" item.